The Pat Patrick Band is a fantastic band who is often referred to as “The Society Band of the South”. Pat Patrick is an exciting show band performing high energy music from Big Band, Motown, Rock & Roll, & Today’s Latest Hits. From 5 to 23 pieces. Perfect for your corporate event, wedding reception, or fund raiser. It may be hard to believe, but the origins of the Pat Patrick Band started in 1958, when band leader Pat Patrick picked up the guitar at age eleven. Four years later, Patrick formed his first band and named it the Saturns Combo. Comprised of guitar, bass, drums and sax, they used Patrick’s bedroom for rehearsal space. This young band received its start performing for the Hillwood Country Club, Belle Meade Country Club, and various high school dances and fraternity parties all over Nashville. As the band progressed, so did their name. 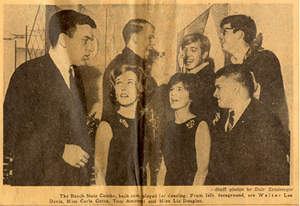 The Saturns turned into the Fabulous Beech Nut Show Band around 1968. This name did not last for long, transforming into the Kracker Jacks Show Band. Even though they were at a loss for a name, Patrick’s band was in such great demand that he was able to add three more horn players and one more vocalist. The band continued playing new venues in and around Nashville and for sorority and fraternity parties all over the South. 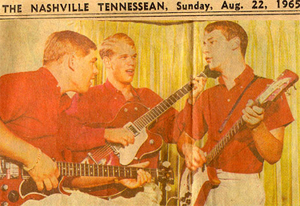 Performances for friends in Nashville soon led to bookings in Louisville and Memphis, and before long Patrick found himself being asked to play for social events and weddings all over the country. During this time the band focused on playing rock hits of the 70’s. Then in 1978, Patrick increased the size of his band yet again, adding four horns at the request of a client. The band was now able to play Big Band, Jazz and Swing in addition to Rock and Pop. Over the course of forty-five years and innumerable performances, the band evolved from a four-piece combo into today’s Pat Patrick Band and Orchestra. 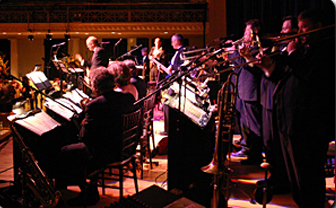 With the diversity to perform as a 5-piece combo or a 23-piece orchestra, the PPB has developed a reputation as one of the most energetic party bands around. The band is comprised of Nashville’s top studio musicians and is led by the only band leader in the country who has earned more than 30 platinum records. Reminiscent of Glenn Miller, Tommy Dorsey, Benny Goodman and Francis Craig, Pat Patrick brings the Big Band and Swing era to life, while continuing to play a diverse repertoire of Rock ‘N’ Roll, Soul, Pop and R&B.